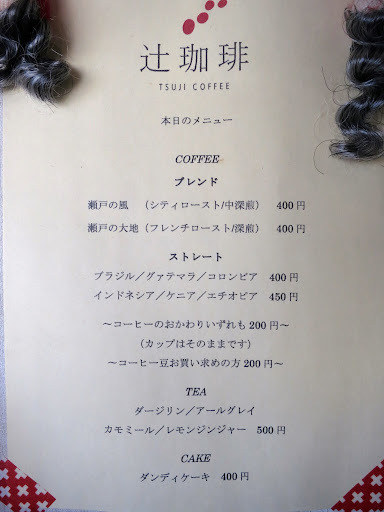 Tsuji Coffee is only a few minutes walk from Kasaoka station if you go in the direction of Kurashiki. 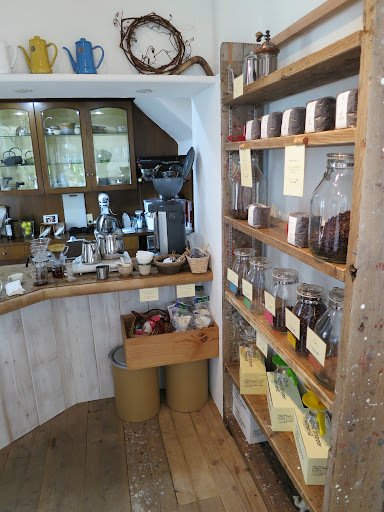 The coffee shop itself is located in an ordinary building, but the bright interior and the brand new coffee roaster caught my eye. 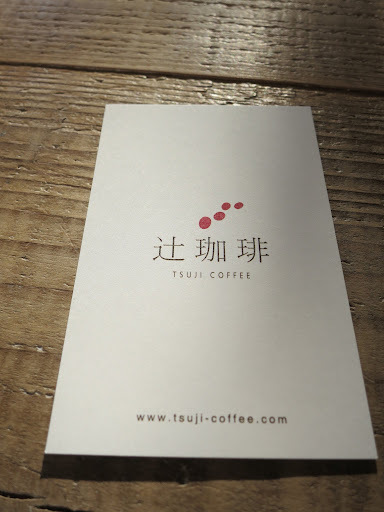 Tsuji Coffee isn’t big, but it was very well designed. I sat at a table made out of an old sewing machine stand. I ordered a strong house blend coffee which was hand poured into a Pyrex beaker, it doesn’t get more precise than this. For the coffee geeks out there, Tsuji Coffee uses Kono drippers which are available for sale. 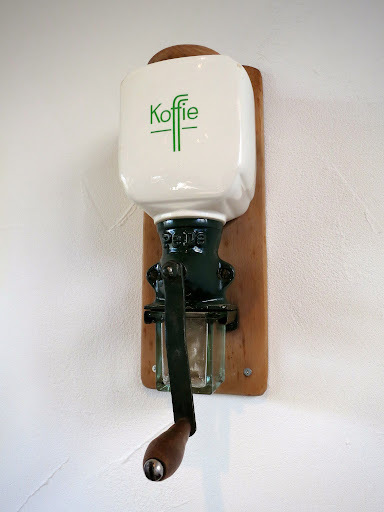 The coffee roaster is a Fuji Royal and it’s so cute, I wish I had one at home! 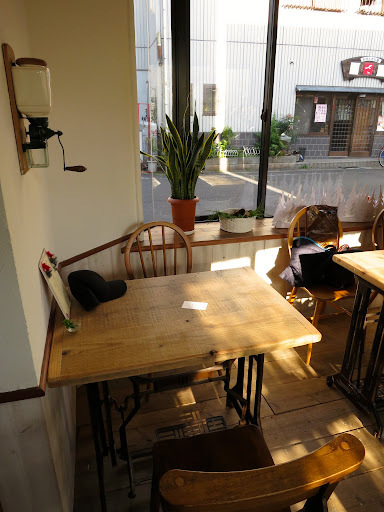 I was informed by the owner that the coffee shop has been opened since September 2012 and that he had handbuilted some of the furniture. I can easily see the correlation between coffee roasting and wood work. The coffee was served in a very stylish cup and it tasted pretty good. 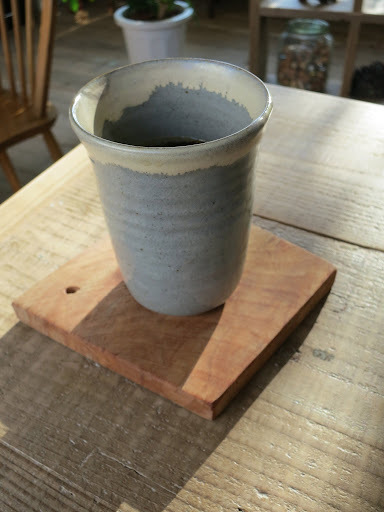 I wish I had more time to spend there because Tsuji Coffee is a very enjoyable little coffee shop. Before leaving, he told me that he also has coffee from Indonesia, Colombia, Kenya, Ethiopia and they are all available for sale. I will certainly go back to try his single origin coffee. The service was great and the owner spoke a little bit of English. 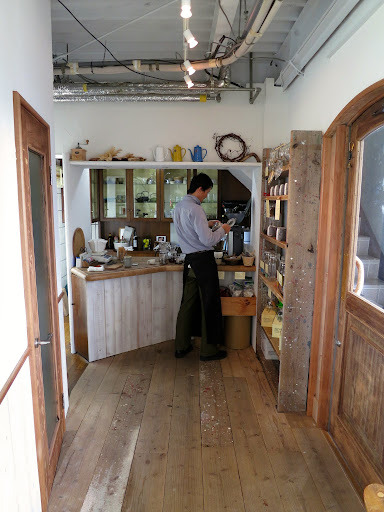 If you ever drive between Fukuyama and Kurashiki, Tsuji Coffee is a good reason to stop in Kasaoka.